Yesterday I spoke a bit about spring cleaning and one of those cleanings involved going through my books and sorting out ones I either know I never read or I found something out about an author (coughtheyareracistcough) that made me want to give away all their books that I own. This ended up with me having 2 bags full of books. If you’re new to my blog, I’m not a book blogger but I am an avid reader. I probably have about 400 physical books in my house because I constantly go to library sales when I can or I visit Half Price Books, the latter of which I want to talk to you about today cause this store isn’t everywhere. The closest one to me is about a 40 minute drive North. I remember when I first realized that there was one in the vicinity of NorthEast Ohio and got super excited to go. Believe me when I say it’s pretty amazing. The concept of the place is every book and even DVD, manga, game, journal, etc that you buy is half the price of what the publisher printed on the book jacket. For hardcovers, that logic sometimes applies and sometimes it’s an even better deal because a hardcover can be $30 and Half Price will sell it for like $9.99. Suffice to say, it’s quite easy to get stuck in this store for hours at a time. They also have a counter set up where they will buy your books from you. The less often they see books come across the desk, the more money you’ll get. For example, I took The Da Vinci Code by Dan Brown up there and it got pennies because they see this book all the time so it’s not really worth a lot. But if you bring in a popular book, for example, a book by Ilona Andrews, it’s worth more because I personally have never seen an Ilona Andrews in Half Price Books. She’s just a hot author and the books just don’t stay on the shelves long enough once they’re brought in. Pretty awesome right? Great way to feed an addiction at half the cost 😉 . And majority of the books are in great condition! Do you have a favorite book store by you that you go to that has awesome deals such as this one? How do you feel about book buying addictions? Not necessarily a bad one to have eh? Let me know in the comments below! Happy Wednesday and last day of Nel’s tag-a-thon. I wasn’t tagged in this specifically but I thought it looked fun and told fellow blogger, Reading in the Wings, I’d do it. I’m not exactly sure who created it but if you check Reading in the Wings’ blog you might be able to trace it back to that person. I’m a heavy series reader so that equals a lot of books from the jump but if I had to pick on the spot, and Shakespeare didn’t count, I’d say Ilona Andrews cause I’ve read almost every series they’ve created or Judith McNaught cause I’ve read every book she’s ever written which is about 16 books. 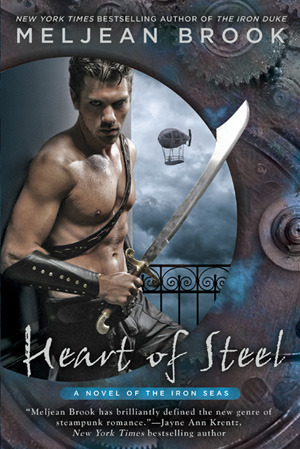 Heart of Steel features badass pirate Yasmeen who is great at killing zombies and I can never get enough of this book. 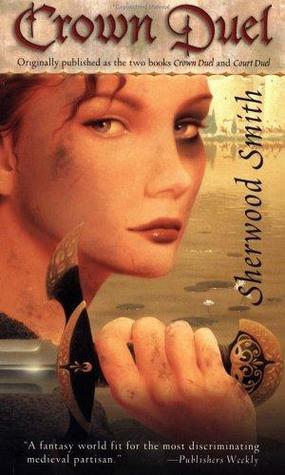 Court Duel features badass swordsman Meliara and I haven’t read this duology in a long time but I still love it. 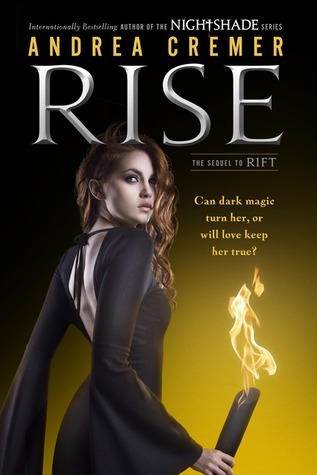 Rise is the sequel to the prequel duology with the first book being Rift and features badass sword wielding, magic using, gladiator of sorts and sits prominently on my physical favorites shelf. Nothing. I know. THE HORROR! I’ve been a slump due to my life as well as my addiction to all things Marvel Cinematic Universe at the moment. Hopefully my reading game comes back on one of these days. Usually water cause I’m boring, haha. I’m not a soda drinker and I’ll do fruit juice on occasion. Both. I was strictly physical book until I worked 2 jobs regularly and couldn’t haul my books around with me so I got my first e-reader back in college. It was a Sony something or other they don’t even make anymore, before Kindle and apps in general were a thing and I loved it. I now tote around an Android tablet with all the cool kids apps and lots of ebooks on it. However, I still collect physical books of ones that I read and loved and need to own cause I loan my books out to friends often. HAHA! I didn’t date in high school. In fact, I didn’t have my first boyfriend until I was 18 so this question is kind of tough. I think I’d choose Valek from the Poison Study series or maybe Dimitri from the Vampire Academy series. They are pretty dreamy to my high school self. 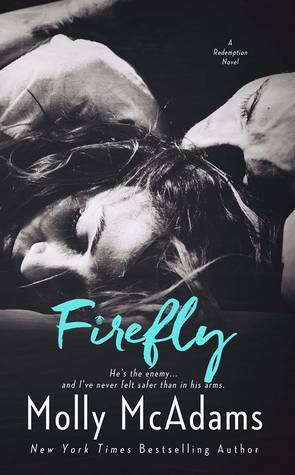 I don’t usually do dark romance but my goodness was this worth every minute it took me to read it through and then some. It was hot and intense and beautiful and I’d read it again in a hot second. 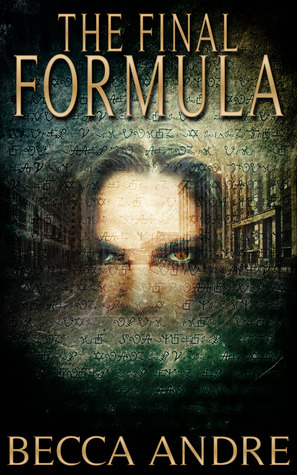 I’d have to go with The Final Formula series. Not many people seem to know who Becca Andre is but I love her writing cause it’s not often you see someone write about alchemy and necromancy. Hmm. Maybe when I discovered how fun reading truly is. There used to be a program back when I was younger called Book It! and you would track the books you read, take the form to Pizza Hut and get a free personal pan pizza for every challenge you completed and then like once a month you’d get a pizza and a prize out of their bin. At the time Harry Potter was super huge so I’ve gotten a lot of Harry Potter collectibles just from reading and only encouraged me to read more and more. 1276 pages and 964 pages each respectively. 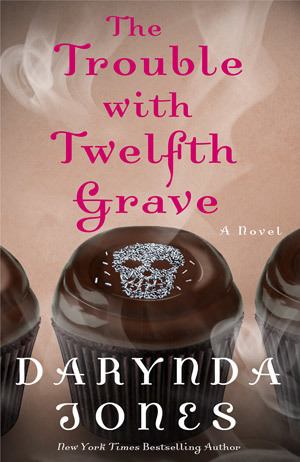 Right now, it’s because of freaking The Trouble with the Twelfth Grave by Darynda Jones. I’m dying for the next book because this installment was insane. Many of them but I’d have to say Angel’s Blood by Nalini Singh is probably ingrained into my brain at this point. That’s the beautiful of digital copies is I can read anywhere. Most of the time it’s on the couch, in the bed or at work when I’m supposed to be working. 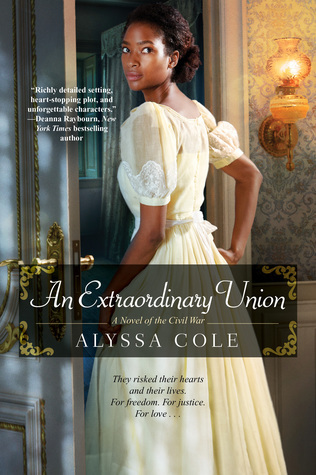 I fight for the Union because America is supposed to be a land where people can be free from tyranny, where families aren’t ripped apart to make a profit, where men aren’t whipped for speaking their mind and women aren’t abused worse than brood mares. Probably reading The Bourbon Kings by J.R. Ward. Ugh! This trilogy is so hyped but that book was a waste of life. Alpha and Omega by Patricia Briggs. I wasn’t terribly impressed with the first book but I keep being told it gets better so I should continue. These questions are killing me. I can’t answer this question because I have to many favorites and some will get jealous of the others if I only name three! 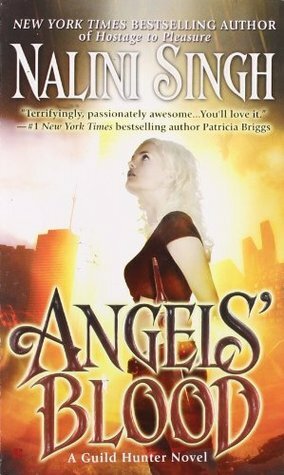 Summoned to the Thirteenth Grave by Darynda Jones and Magic Triumphs by Ilona Andrews because both are the final installments to my beloved Charley Davidson and Kate Daniels series. Letting a book keep me awake way past my bedtime cause I can’t stop reading it even when my eyes are bleeding. I don’t get enough sleep as it is so this just makes it worse. I bought a kid’s workbook for my friend’s 3 year old for her birthday party from Books A Million. I haven’t bought a book for myself lately cause I haven’t been reading sadly. 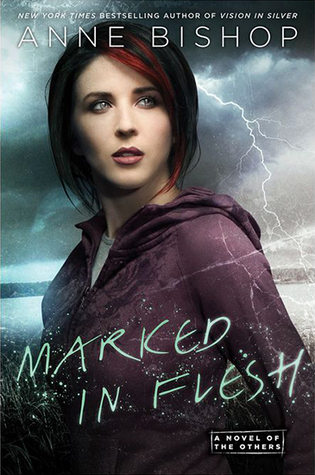 Besides the ones above, I’d have to say Marked in Flesh by Anne Bishop. If this looks like a good looking fun tag you’d be interested in participating in, consider yourself tagged. See you tomorrow for Endangered Thursdays! Over the weekend I got to talking with a group of my Twitter buddies. The discussion started out being about the Kindle Paperwhite and just evolved into something else. We’re all huge fans of the romance genre so we got to talking about the types of romances we like versus ones we don’t really care for. It was a pretty healthy conversation and it got me thinking real good about how I have generalizations and how I have types and I thought I’d share that today. So when I think of a generalization, I think of a broad statement about something I may like or dislike. For example, I like berries. Now this is a simple example but let’s just say I like the overall category of everything berry. When I think of type, I think of it as a subset of a generalization. Keeping with the berry example, I love blueberries and strawberries but I’m not a huge fan of raspberries and blackberries for example. Now I’ve broken it down to the types of berries that I prefer over the ones I don’t. I like to think of different media forms the same way. For example, I prefer epubs over all other book formats. I don’t necessarily dislike the other formats, I’m just so used to using epub since the beginning of ebook time that that is my personal preference. However, I will make an exception and take advantage of a different book format if I can’t find it in epub and probably still enjoy the book just as much. Going back to the romance discussion, we were talking about the different subsets of romance that we like versus ones we don’t normally gravitate towards. Most of the time I gravitate towards urban fantasy romance, paranormal romance, and romantic suspense. Some of the other girls broke it down even further talking about how they liked alpha romances, dark romance and MM (male/male) romance. There were a bit of agrees and some disagrees, which is natural cause we all have different tastes. However, I pointed out how you never really know what your type is until you try it. I correlated this to how there are so many authors on this planet and they all write differently so just because you think you won’t like a type a book, you can’t know until you read it. For example, I explored dark romance this year, a couple books actually, and didn’t think I would like them but surprisingly ended up loving one author’s style and only thinking the other author’s style was decent. If we’re talking Goodreads rating scale, one was a 5/5 for me and the other was 3/5. But again, that’s one book out of the bunch. Just because you think you love an author’s voice, doesn’t mean you’ll like every book they ever write either because authors themselves like to explore with their writing. I had to let her know, for the record, that I don’t have a type. Do I have general book preferences, yes, but I’m willing to try anything. I don’t care if it’s a book, food, movie or activity. Ever hear that phrase, “Don’t knock it til you try it?”, I stand firm by that statement. I understand authors don’t want negative reviews and will try to justify why they got one anyway they can by making it seem like it was the reader and not the book but I think that’s a wrong way to go about things. You’ll only lose a potential fan that way. Do you have book generalizations and types? Have you ever had an encounter like the one I had above? Let me know your thoughts below! You know, I think I sort of understand where reading slumps come from now. Over the weekend, in order to fulfill my January obligation for the #UltimateReadingChallenge I picked up an old favorite I haven’t read in a few years. I did not expect to read it in half a day nor did I expect to cry my eyes out the whole time I was reading it either. Now I’m at the point where I should be moving on to a new book but I can’t get this one out of my head long enough! And then you start comparing what you just read to what you’re currently trying to read and it’s just so hard. A friend suggested that I read another book by the same author to help tide me over from this high. Such a good idea right?? But when you’ve read every book an author has ever written, how do you even choose?? So now, not only do I have one of her books stuck in my head but I’m so indecisive that I can’t choose a different one. Usually when this happens, I turn to Netflix and end up getting into a show I can binge for a while. But then the same thing occurs again once the show is over! It’s truly a never ending cycle. Another thing I like to do when I feel a slump coming on is turn to a completely different genre. For example, from contemporary to fantasy. Usually, a good fantasy book is able to perk me right out of it. I actually read and finished a fantasy I had left open for many weeks before I binge read this contemporary and had every intention of leading right into said book but I remembered my challenge and how there is not a lot of January left so I took a detour. Well that detour caused an accident figuratively speaking, lol. That’s pretty much all I have for today. Clearly, I just can’t be original enough to think more originally like I usually do on Mondays. Hopefully this new book I’ve so far read the prologue of, jump starts my brain out of the previous book fog it’s lost in. I was having my usual conversation with my good friend Noriko and I was telling her how my reading black hole slump has been demolished by my current read. I’ve read 70% of the book in two days and it’s really hard to stop. It’s so crazy because I had no interest in reading for weeks for one reason or another but my husband grew concerned that I wasn’t reading and I finally decided it was time to climb out of the hole. Uniqueness: Fantasy novels are completely unique in that you are conjuring a world in your head that literally doesn’t exist anywhere in this world. Sure it might have a little bit of resemblances to certain cities perhaps or particular landscapes but it’s largely a world the author has created in their head and passed onto you. Not only that, the people, creatures, spirits, gods that live in the world are just as unique as the world itself. Character names and their powers: We all wish we could have a certain power whether its a light one or dark one. Maybe we want to be a God, witch, mermaid, etc. We get to do that in a book. 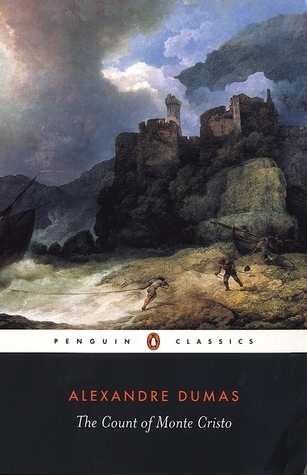 Not only have you transported yourself into the unique, fantastical world, you’ve also transported yourself into the characters. The writing makes you feel everything they’re feeling while your imagination is running wild. You’re flying on a dragon’s back or running through the forest on the back of a minotaur. I mean the possibilities become so endless. You feel as invincible as your character. Conflict: This sort of piggybacks off of the uniqueness but the conflict that occurs in the story is something you never really could imagine. For example, in my current read, the main character was tortured for many years as a young child and when she finally escaped she stayed in hiding until a warlord found her. She lives by a very specific lifestyle that keeps her alive because her particular powers are very much wanted by many in the realm. She’s literally almost invincible but she struggles to figure out how to really live when she’s so used to people using and abusing her. Like, I know that sounds like something you could read in any book but you have to remember there are beings thrown into the mix that are conjured in this world that amplifies this conflict tenfold. Research: I know every author who writes a novel does research. They want their books to be as accurate as possible. I just feel like when it comes to fantasy there’s deeper research involved to make sure it’s right. When stories involve Greek Gods such as Zeus and Poseidon or mythical creatures such as Cerberus, you need to know what you’re talking about. The feeling of Googling the mythical name to see if what the author wrote in the story is true or a spin on the regular myth is such a good feeling because not only did the author teach me something new I may not have known before but it also encourages me to continue learning long after I’ve finished the book. So those are the four main reasons I wanted to share with you all. I could go on forever but as this post is already almost 700 words, I don’t want to lose your interest especially if you’ve made it this far. Do you read fantasy books? Do you like the genre or have a favorite genre of your own you want to share with me why you love so much? Let me know in the comments below! There’s a podcast I frequent by one of my favorite authors. It’s called Science Fiction and Fantasy Marketing and live streams every Monday on Youtube. It features indie authors giving advice and experience with marketing their books. They often feature other authors on the show as well. Three weeks ago Nalini Singh was featured on the podcast (which was SO AWESOME!) and last week the focus was on how authors can get their books into libraries and the process libraries go through to receive books whether you’re indie or traditional. The featured author was actually a librarian as well as an author and he was discussing his new book that he said was in the superhero fiction/urban fantasy genre. That sparked a little bit of a debate in the live chat about what readers consider superhero fiction vs. urban fantasy and how hard it is to find “true” superhero fiction cause it’s being drowned out by urban fantasy. One viewer got quite heated about the subject. It got me thinking about the characteristics and qualities of a person for them to be considered a superhero. In this post, I’m going to discuss definitions found on Google as well as what I personally think. When the term superhero is used, the images that automatically come to mind are Marvel or DC Comics heroes; i.e. Superman, Batman, Wonder Woman, SpiderMan, Thor, etc. These are heroes we’ve all grown up with. They have quite an extensive universe as evident by the hundreds of comic books, television shows and movies. However, can we consider a different fictional character as a superhero? Is the definition of a superhero as broad as I think it is? Let’s take a look at some definitions around the interwebs space. These two definitions are quite similar. One implies only a fictional character while the other suggests that a superhero doesn’t necessarily have to be fictional as long as they are skillful and successful. The individual I mentioned above, who got heated during the conversation stated that a superhero is “a costumed crime fighter with super powers.” That narrows it down a bit more specifically with the words “costumed crime fighter”. Now as specific as that definition is, it got me thinking about some of our costumed superhero favorites. For example, the Green Arrow is a costumed crime fighter but he literally has no super powers. He’s just “exceptionally skillful” with a bow and arrow and he’s rich. Hell, even Batman doesn’t have any super powers nor does Iron Man. They’re just highly skilled in tech and they’re rich. Looking at that definition, would you agree that a supernatural character is not the same as a superhero? But does that not contradict the superhero definition? For example, Superman is not even human. He came from a different planet entirely with powers that are not of scientific understanding or the laws of nature as governed by humans of Earth. But then someone like Spiderman is considered a superhero because his powers can be explained through science, i.e. he was bitten by a radioactive spider who’s venom manifested inside of him turning him super human. Then we look at characters such as witches and wizards. They are a bit of both wouldn’t you say? Some are born with power yes, but they still tap into science as well as nature in order to enhance the power they already have or to draw power into an object making it more powerful. What are your thoughts on superheroes in fiction? Do you believe the definition is cut and dry or is it more broad? Do you have any favorite non Marvel/DC characters in a fictional universe that you would consider superheroes? Let me know in the comments below! Okay first thing we must talk about is the cast line up. You have Claire Danes who plays Juliet, Leonardo diCaprio who plays Romeo, John Leguizamo who plays Tybalt, Harold Perrineau who plays Mercutio, Pete Postlewaithe who plays Father Lawrence and a whole host of other cast members that just make this movie so amazing to me. On top of that, instead of speaking in modern tongue, they literally speak the exact dialogue of the story, swords are brand name guns and there’s a bit of a musical feel to it. It doesn’t have the highest rating by movie critics so I’m probably in the low minority of people who love this film but I believe it’s worth watching plus the soundtrack is FANTASTIC! Another film with a great cast line up! O is a modern retelling of Othello but it’s set in high school with the premise of teen violence. Mekhi Phifer plays Odin (Othello), Julie Stiles plays Desi (Desdemona), and Josh Hartnett plays Hugo (Iago). It’s also another film that doesn’t have super great ratings but I liked it enough especially since the cast was so diverse plus I was on a Julia Stiles kick back then and she was featured in so many of my favorite movies back then! There’s a trend with cast line ups! I don’t care what anyone thinks but but this is literally the best Cinderella film I’ve ever seen and I’ve seen a lot of them! I also want to point out that I’ve never really been a huge fan of Cinderella’s story in general but man does this movie change my mind. 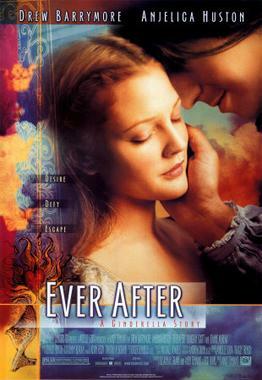 Drew Barrymore plays Danielle (Cinderella), Dougray Scott plays Prince Henry (Prince Charming) and Angelica Huston plays Rodmilla (evil stepmother) along with a whole host of others. 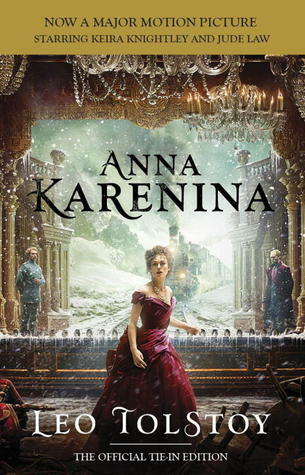 One of the things I adored about this film was how they were able to meld a fairy-tale with a bit of a historical feel. Leonardo da Vinci (played by Patrick Godfrey) is featured in the film especially when it comes to creating Danielle’s gown for the ball. Cinderella is also not portrayed as this quiet mouse who only talks to animals. She’s this strong female who has a huge thirst for adventure and love! Remember how I said Julia Stiles was popular? Well, here she is again. 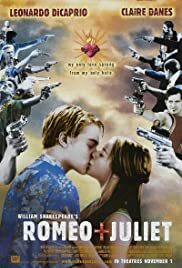 What a lot of people don’t know that this teenage romantic comedy is actually based off another William Shakespeare story; The Taming of the Shrew. 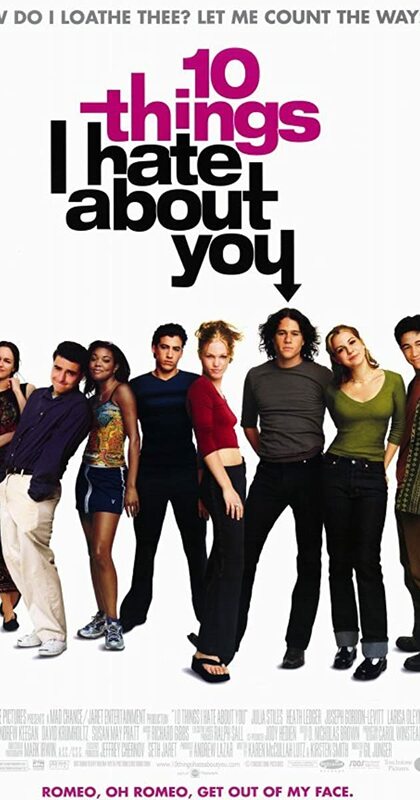 Heath Ledger plays Patrick (Petruchio), Julia Stiles plays Katarina (Kate) and Larisa Olyenik plays Bianca (Bianca) along with a whole host of other awesome actors. Looking back I can’t say there are lot of teenage based films I would watch again because adult Nel thinks they’re quite cheesy now but this one definitely has special place in my heart. If you know the story of The Taming of the Shrew, Patrick is the bad boy kid new to school who’s not interested in much but then his friend suggests he “courts” Katarina because none of the other hormone driven boys have been able to even crack a smile out of her plus her dad has really strict dating rules. The film centers around Kat creating this list of the things she hates about Patrick, in the form of a poem. Have I mentioned how much I love space operas? Because I freaking love all things space opera! 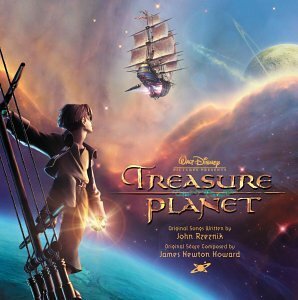 Treasure Planet is a modernized version of Treasure Island by Robert Louis Stevenson set in space. Joseph Gordon Levitt voices Jim Hawkins, Brian Murray voices John Silver and Emma Thompson voices Captain Amelia. The story revolves around a restless young adult looking to join a ship and go on a fantastic journey. He joins up with John Silver thinking he’ll be part of a cool crew only to find out that John Silver has his own secretive, nefarious plot. This film is Disney made and got a decent enough review. I always thought it was so unique for someone to turn a very old classic, into a fun, intergalactic twist. There are PLENTY more that I could discuss so I’m thinking of possibly turning this into a monthly series. What do you think? Have you seen any of these adaptations? Do you have favorites of your own that you would like me to discuss in a later post? Let me know in the comments below!